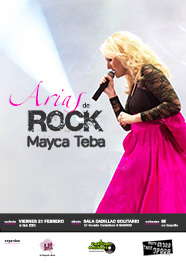 Mayca Teba is currently considered as one of the sopranos in a merger with the greatest impact internationally. Her musical style ranges from pop and folk music recordings through the performances of classical music to opera and zarzuela arias. From early one she is known for her maturity when interpreting any musical genre. Classically trained, she studied singing and piano in Seville (Spain), her hometown, but soon she moved to United Kingdom and United States which completed her as an artist. The strenght in every note she sings with an elegant and captivating presence, makes her one of the most complete artists of global music scene. Here you can find everything related to one of the most versatile artists within the musical scene. Concerts, interviews, news and much more. Discover one of the voices with a great Spanish and international focus. An unmistakable personality that will not leave you indifferent. Mayca Teba shows us she is "much more than opera" at the Bellas Artes Center of Puerto Rico, with the Philharmonic Orchestra Arturo Somohano directed by maestro Roselyn Pabón. Con motivo del festival Talent Madrid en los Teatros del Canal, In Actio Dúo estrena Cinco Miradas de Mujer con gran éxito de público. El próximo 21 de Febrero a las 22h, Mayca Teba presenta en la sala Cadillac Solitario en Madrid un concierto de versiones míticas de la historia del Rock. De nuevo se unirán dos géneros musicales como la lírica y el rock. Entradas a la venta en taquilla. Éxito rotundo en la Riviera, Madrid donde una vez más la Lírica y el Rock se unieron en la voz de la soprano Mayca Teba. 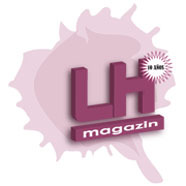 El miércoles 13 de noviembre volvimos a tomar Café en la Luna en www.lhmagazin.com. En esta ocasión, hablamos de ocio, actualidad musical, y recibimos la noticia de Mayca Teba, la soprano que ha co laborado en el tributo a Queen y con la que hablamos de su capacidad para fusionar estilos musicales. 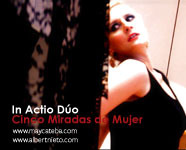 IN ACTIO DUO surge de la necesidad de la soprano Mayca Teba y el pianista Albert Nieto, por indagar y profundizar en la música gestual. En ésta ocasión, nos presentan un extracto de Carmen, delirio en sombras del compositor David del Puerto, que forma parte de un programa titulado CINCO MIRADAS DE MUJER, donde se rinde homenaje a cinco mujeres como la mencionada Carmen, único personaje de ficción, Marlene Dietrich,Edith Piaf, Amalia Rodrigues y Ella Fitzgerald. Todas la música es inédita y compuesta para la ocasión, respetando los estilos de cada uno de los personajes. David del Puerto Carmen, delirio en sombras Fernando Lázaro Amalia, esplendor do fado Anna Cazurra Ella, pure sensuality of swing Agustín Castilla-Ávila Wo die Blumen sind (an Marlene Dietrich) Voro García Édith, l'actrice qui prodiguait son âme. MAYCA TEBA ALCANZA MÁS DE 1000 VISTAS EN YOUTUBE CON SU VERSIÓN DE "I DREAMED A DREAM"
El videoclip de "I Dreamed a Dream", interpretado por la soprano Mayca Teba, alcanza ya más de 1000 vistas en Youtube. "I Dreamed a Dream" es una de las canciones más emblemáticas del musical "Les Miserables" de Claude-Michel Schönberg. Me quedaré por tí unió a estos dos artistas sevillanos. Muy pronto regresarán con canciones inéditas para el nuevo disco de Mayca Teba, que sin duda no nos dejará indiferente. Me Quedaré por tí - single U.C.I. Mayca Teba debutes at the age of 9, singing the versículo Redde from Miserere of Sevilla by H.Eslava in the cathedral Hispalense together with la Orquesta Bética Filarmónica conducted by maestro Luis Izquierdo, breaking the tradition that only male children´s voices could sing? Mayca Teba was the first solist voice who inaugurated the Maestranza Opera House of Seville, at the age of 12, during the acoustic try-outs? Mayca Teba is the first Spanish soprano to win the Dunvant Male Choir Music Theatre Competition in Swanse, Wales? Mayca Teba is the frist Spanish artist to perform at the Royal Court Theatre of the most luxurious transatlantic, Queen Mary II? Mayca Teba rereleased the zarzuela Quo Vadis by R.Chapí for the first time since its premiere in 1901? Mayca Teba founded in 2002 the first Andalusian Lyrical Company, María Malibrán? To contract Mayca Teba or to contact her directly, visit CONTACT and we will provide you with an answer soon. Thank you!